Here’s a great site that I stumbled upon a while ago for comic book fans. 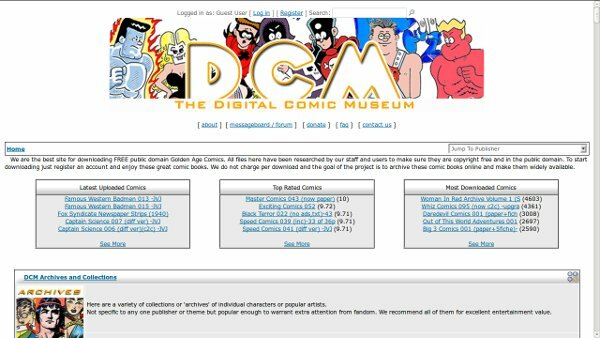 It’s called The Digital Comic Museum. The Digital Comic Museum is an online repository of a wide variety of Golden Age comics that have passed into the public domain. All the comics on the site are free to view and download, and it’s all legal! It’s a great place to check out some classic comics! Here’s a cool little site called Myscriptfont.com. It offers a service that enables you to create a font from your own handwriting. The site says to just download the template, print it, fill it out and upload it, then download your very own personalized font for your projects! I haven’t made a font on the site yet so I’m not sure how well it works, but I thought it was a site worth sharing! Today’s site is Creating Comics with Tim van de Vall. Tim is the creator of the digitalcomic, The Adventures of Chartwell. The site not only showcases some of Tim’s great work, but is a fantastic resource for comic book creators of all skill levels. It features tutorials covering a range of topics, recommendations for equipment and software you may need, as well as drawing tips. He also has some free resources and downloads for you to use as well. I can’t recommend this site enough! Check it out at http://timvandevall.com/. John Byrne is one of my favorite comic book creators. If you are a fan as well I’d like to recommend the site John Byrne Draws. I came across this Tumblr blog a little while ago and thought I’d share my discovery. This site provides a constant stream of John Byrne art like original comic book pages and covers, sketches and commission work. My favorite John Byrne work is his run on Fantastic Four, though I’m liking a lot of his new work at IDW. If you’ve got a John Byrne book or series you like, let me know about it in the comments below! 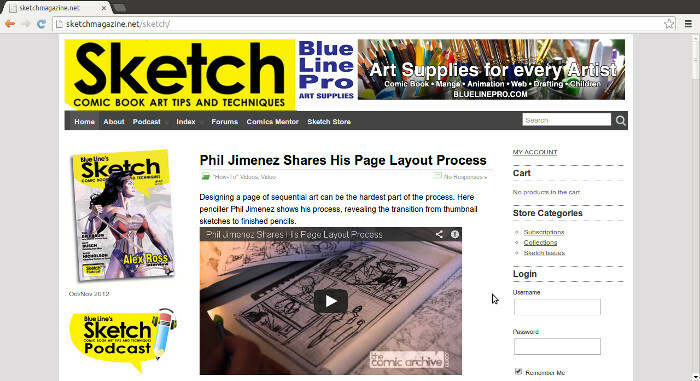 From the people behind Sketch Magazine, Blue Line Pro, Comic Related and Skystorm Studios comes, SketchMagazine.net, a great resource for comic creators. You’ll find info about Sketch Magazine and their excellent Sketch Podcast, hosted by Bill Nichols, John Wilson and Robert Hickey. 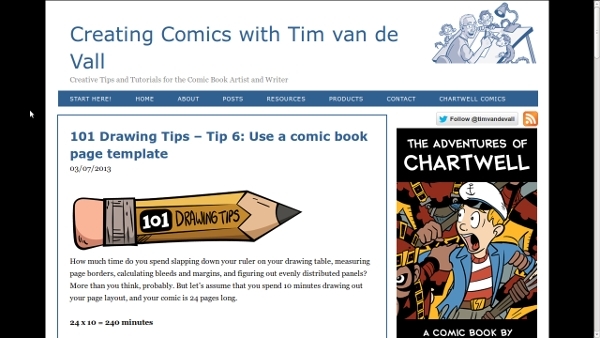 The site also provides curated videos, tutorials and other interesting posts on comics creation as a whole. Check out Bill Nichols’ Comics Mentor posts while your there. He offers practical advice on the comics profession as well as words of encouragement for those trying to make their own comics. 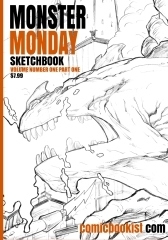 All in all Sketch is a great resource for anyone looking for information on creating comics!